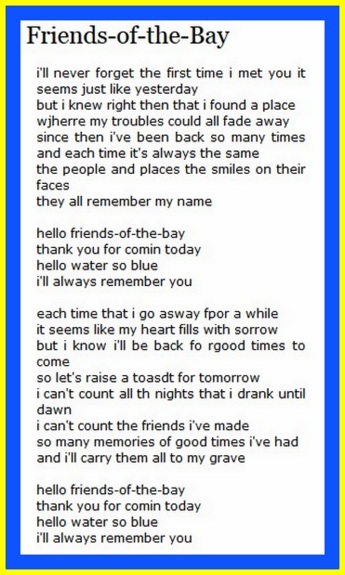 The Put-in-Bay Village Council has voted to honor Bob Gatewood by making his ever-popular song, “Friends of the Bay,” the official song of Put-in-Bay. Congratulations, Bob Gatewood! This entry was tagged Entertainment, Put-in-Bay Village, South Bass Island. Bookmark the permalink.